New Ptc Site, Rent Referrals, Do Crowdflower Tasks, Offers, Contests And More! Hello ppl. Just an quick post about new PTC/TE that started recently. Admin is Mike Sherratt from UK and he made an unique ptc website from the scratch (he's programmer). He has set a lot of $$ in the reserve fund for free $2.50 advertising credits that EMS gives to every new member. His plan and the plan from his team is to bring EMS to #1 place in PTC industry. I've joined EMS June 02., upgraded to Silver on June 07. and made my first profitable cashout on June 22. You won't regret if you join us at EMS HERE And if you're not a member of Tri-Ads yet, don't be a fool and check THIS!! AdFern is the smartest way to advertise nowadays. Pay per click: up to $0.02 GP to like, watch videos, share GP to complete offers Participate in various contests and win outstanding prizes Click on the AdGrid feature to win a prize Be Active! Make sure you register! 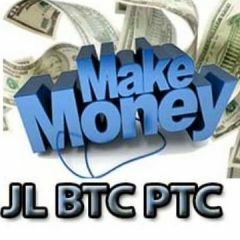 If you want to earn real money instead of being scammed then you can visit Top 10 Ptc sites of 2013 I have receive payments from the se sites. I am not the admin. ------------------------------------------------------------------------------- PaidVerts! Prove your value, and interact with advertisements to earn instantly! http://www.paidverts.com To get started, login to your account, click on the activation ad in your members main page. And then head over to the "Paid Ads" section to start clicking on paid advertisements! Paid ads will start appearing in your account within 24hours, so if there's none there right away; check back tomorrow. PaidVerts Tips: ~~~~~~~~~~~~~~~ 1) Keep your account active! Only active accounts receive paid ads. You can view 'activation ads' from your members main page at any time. Every activation ad you view adds 7days of active status to your account + 100 Bonus Ad Points (BAP)! 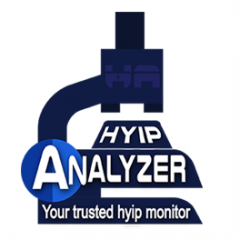 - View multiple activation ads all at once, to accumulate BAP, and activate your account well in advance. - If your account goes inactive, you can re-activate it at any time. And pick up exactly where you left off! - If you're going on holiday, let your account go inactive! This will save your Bonus Ad Points from being consumed by ads that you don't click on. As remember, you only - You can view up to 5 activation ads each day -have 18 hours to click on each ad that's delivered to you, or it'll be recycled and given to somebody else! 2) Refer Friends! Why do all the work, when you can get others to do it for you! You'll earn 10% of every ad purchase your friends make, as well as 10% of the value of every click your referrals make! So if they view a $10 ad, you'll earn $1 commission for doing absolutely nothing. To refer friends just give them your referral link. 3) Bonus Ad Points (BAP) are the key to making loads of money with PaidVerts. These are how we distinguish freebie junk traffic, from the valuable users that advertisers are interested in communicating with. Read our FAQ to learn how to earn more Bonus Ad Points. 4) Advertise with PaidVerts! Our communcation rocks! For every dollar spent on our Bulk Ad Packs, you get: - 50 visits to your website for 30 seconds, after the user has typed out your three main selling points in captcha form. So they're primed and know what they're looking for even before arriving at your website. - 100 banner impressions of our 125*125 px banner rotator - 25 exclusive top of page banner impressions for our 728*90 banners - And we even throw in 3100 Bonus Ad Points for your account! Thats $1.55 worth of paid ads that'll be delivered to your account ASAP! Basically, if you want to earn from your purchased ad packs - you will have to click on paid ads which will be delivered to your account. 5) Earning tips - if you want to earn for free, simply view 5 activation ads each day. This will give you 500BAP, which will send you 0.25$ worth of ads ASAP - much better than any other PTC! Once you get 1$+ in earnings buy ad packs to increase your BAP - increase your BAP quickly by buying 1$ ad packs. - buy 0.05$ recycle upgrade that will ensure you get sent 1$ worth of recycled ads ASAP. These usually amount to 0.1-0.3$ worth of recycled ads sent to you each day! The more BAP you have the more valuable ads you will usually receive! 1-15$ ads are sent out everyday!